This seascape painting is a moody misty morning. Painted on panel board the edges are a raw light wood finish. 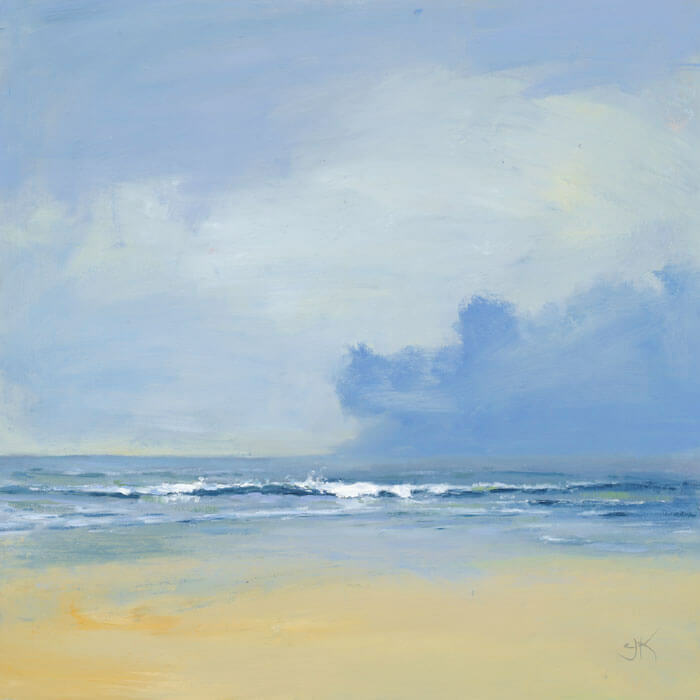 Seascape painting capturing approaching cloud bank and changing weather conditions. Wax medium gives the surface quality a matt finish.